The Best Gas Grill Under $500 For Your Propane Grilling Needs! After a thorough look at the gas grill market, we have found that the best gas grill under $500 is the Fuego FELG21C Gas Grill. It has a totally unique look relative to other gas grills, and really is a re-imagining of the product from the ground up. Oh, did we mention it was designed by a former Chief Designer at Apple? For more information on the Fuego, see our Product Reviews section below. 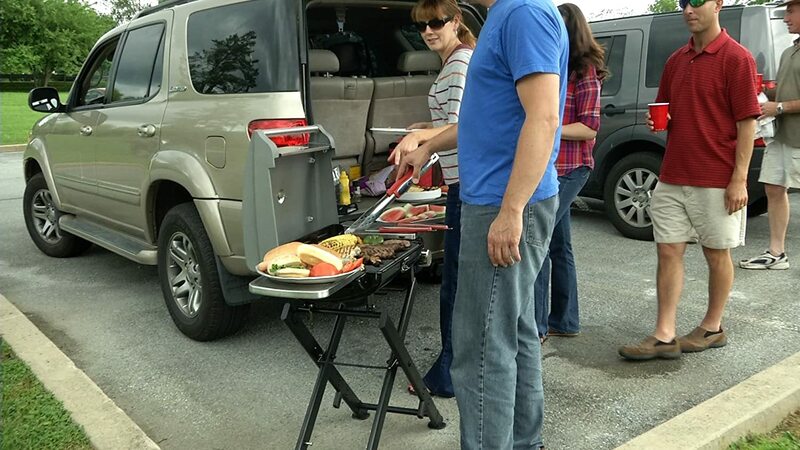 [Read more…] about The Best Gas Grill Under $500 For Your Propane Grilling Needs! Choosing between a gas grill and a charcoal grill is difficult — the pure taste advantage of the charcoal grill is quite tempting, but the ease of use, time factors, detailed controls, and lack of fussiness make gas grills extremely attractive for many outdoor chefs. It is even more difficult to choose among the myriad gas grills on the market — there are a large variety of gas grills to choose from with many different features and options. It can be hard to make the right choice when shopping for a grill as there are not many ways to test them out and see how well they cook, and how well they fit the specific needs of the grill user. With this in mind, we hope to shed some light on the options available for gas grills under $300, and look at which are the best gas grills for different situations.